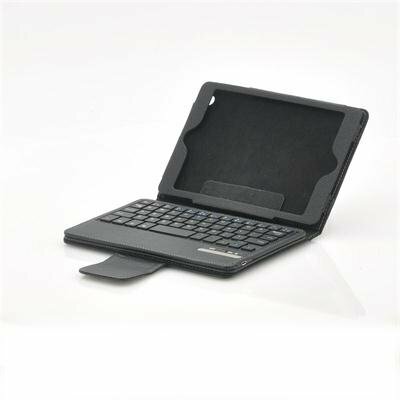 Successfully Added Bluetooth Keyboard + Case for iPad Mini - QWERTY Detachable Keyboard, Flip Stand (Black) to your Shopping Cart. Leather protector case with convenient flip stand and detachable Bluetooth keyboard for iPad Mini. This leather case for the iPad Mini protects your device from any damage and also comes with a detachable Bluetooth keyboard and a handy flip stand. 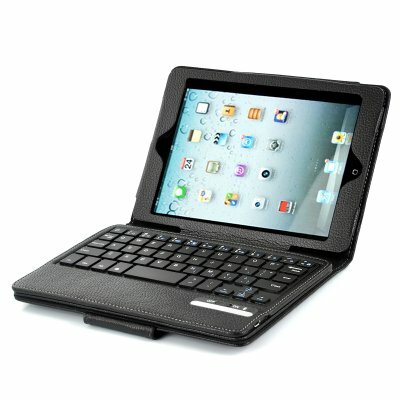 Easily connect the Bluetooth keyboard to your iPad Mini in a few clicks and start typing! The keyboard is held in place with magnets and can be detached for extra typing comfort. Flip up the handy stand and your iPad Mini will be able to stand up perfectly for FaceTime or watching movies. Perfect as a gift, this iPad Mini case is now in stock. Brought to you by the leader in wholesale tablet PC accessories. Order received. Good package, good product at the right price, as usual with Chinavision !